Gov. Jerry Brown has signed legislation allowing local distillers of bourbon, whiskey and fruit-based liqueurs in California to offer paid tastings to the public to market their products. 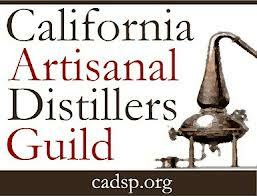 Assemblywoman Nancy Skinner (D-Berkeley) introduced the measure in response to the growing artisan spirits industry in California. Currently, distilleries can provide complementary samples but, unlike breweries and wineries, may not charge for tasting. The Taste California Act signed Thursday allows manufacturers of distilled spirits and brandy to provide individuals up to six paid tastes of their products. AB 933 takes effect Jan. 1, 2014.